Coaches will need to register and fill out the information sheet that can be found HERE. This is for the collection of accurate contact information. All meet communication will be made through this platform, teams will not be considered registered until their coach has signed up as the school’s point of contact. High School Coaches will then register their rosters via a DirectAthletics invite. The deadline to register your team is Monday, September 16, 2019 at 9:00am. Starting Boxes: Starting boxes are assigned randomly for each varsity race. Freshman and JV races will use the same box number as their varsity team. 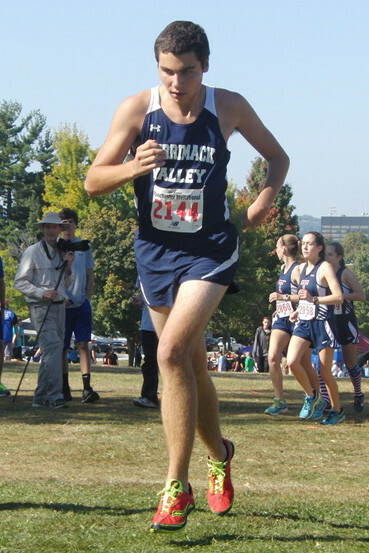 In those Freshman and Varsity races please allow no more than three athletes on the front line as there will be two schools (one large, one small) per box. Directions: Derryfield Park, Louis Israel Martel Dr, Manchester, NH. Course: 2.1 Mile ‘Freshman’ Course and the famed 5k cross country course at Derryfield Park. Timing & Scoring: Each H.S. athlete will receive a finishing time and for all races (except the JV “C” races) team scores will be produced. Team Size: Team entry fees will cover unlimited athletes! Due to course safety the Varsity and JV “B” races are limited to 7 entries per team. The JV “C” and Freshman races each have unlimited entries to teams. Large vs Small School Competition: The NHIAA defines Division I, or Large School, as an enrollment of 1200+ students.  The Manchester Invitational will honor that as a guideline for our event as well. That being said, any team may “race up” if they wish! Results: Official results will be produced using chip timing in conjunction with FinishLynx cameras. Each athlete will receive a bib with timing chip adhered to the back, as well as a corresponding hip number. Results will be displayed on monitors adjacent to the finish line and published live on www.millenniumrunning.com. Printed results will also be available to all coaches upon request. Team: Medals for team members on first place team. Team Tents: Teams are welcome to set up tents throughout Derryfield Park. Bus Parking: Dedicated bus parking will be locating at Hillside Middle School (please use the Belmont St. entrance). Spectator Parking: Parking will be available on residential side streets. Did you run the famed Derryfield Course in High School? Are you looking for a challenge? This community 5k kicks off the Derryfield Invitational on the same course as the high school kids run later in the morning. Results: Official results will be produced using chip timing. Results will be displayed on flat screen monitors adjacent to the finish line and published live on www.millenniumrunning.com. Open Race Awards: Awards to the Top 3 Overall Men & Women. Awards will also be given out to the male and female age group winners. (<12, 13-19, 20-29, 30-39, 40-49, 50-59, 60-69, 70+). Stop by the Awards Tent located in the Race Day HQ following the race to claim your award. Awards will not be mailed after the event. Open Race Parking: Parking will be available on residential side streets. Photos: Millennium Running is happy to provide FREE digital race photos from all of our signature events. Photos will be posted online 2-3 business days following the event. 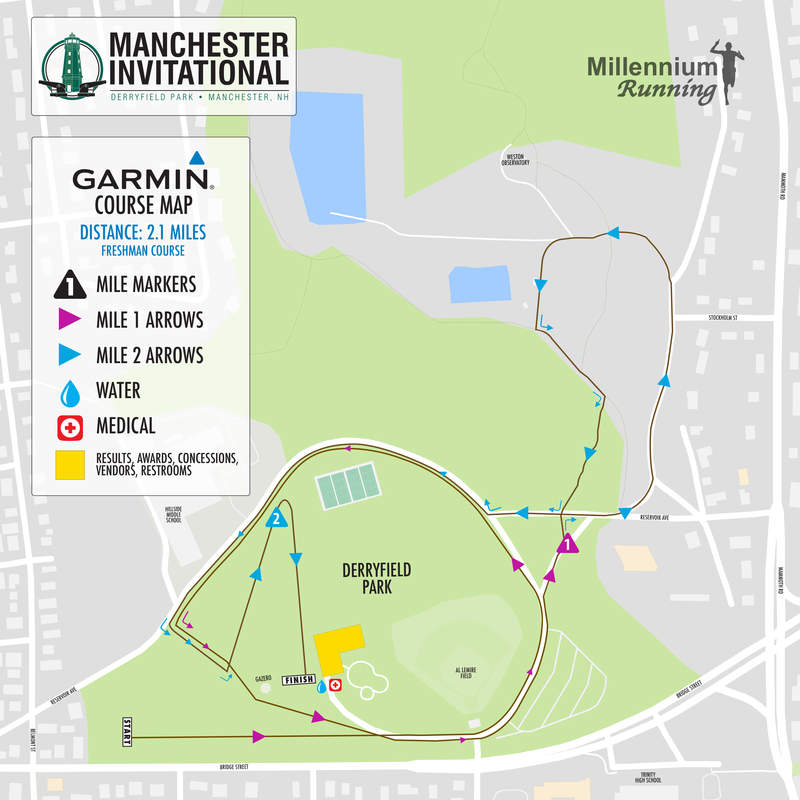 Elliot Millennium Series: The Manchester Invite Open Race will count 3.1 miles and 1 completed race towards the Elliot Millennium Series.